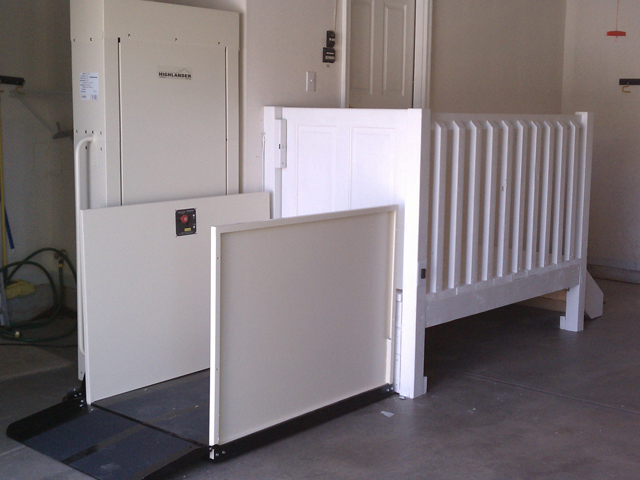 All of our stair lifts are safe and easy to use. 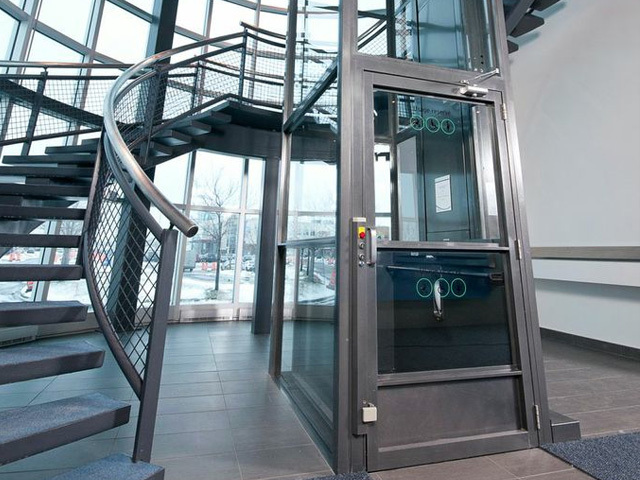 From entering a building to moving between floors, our Apex Wheelchair Lifts present an economical solution for Central NY homes and commercial buildings. 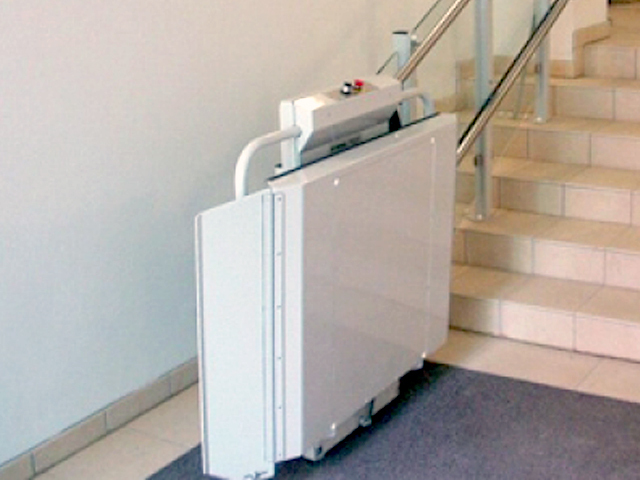 Dependable screw or hydraulic drive systems take a non-skid platform from one floor to another, allowing you to meet the needs of family members, clients, and employees using wheelchairs or motor scooters. 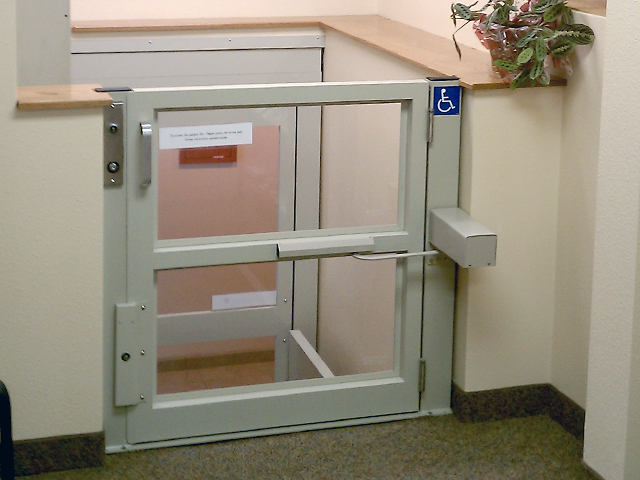 Commercial buildings, in the process, fulfill ADA requirements. 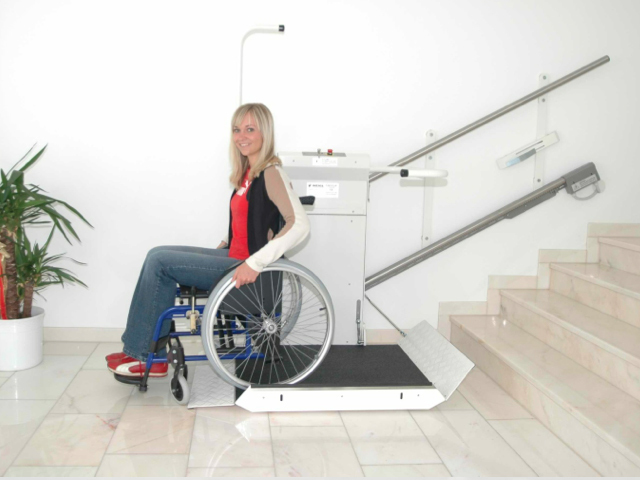 Visit our showroom at ShoppingTown Mall (Syracuse) and take a test drive on an Apex Green Wheelchair Lift. The location’s within driving distance of Utica, Finger Lakes, and other Central NY cities like Rochester. 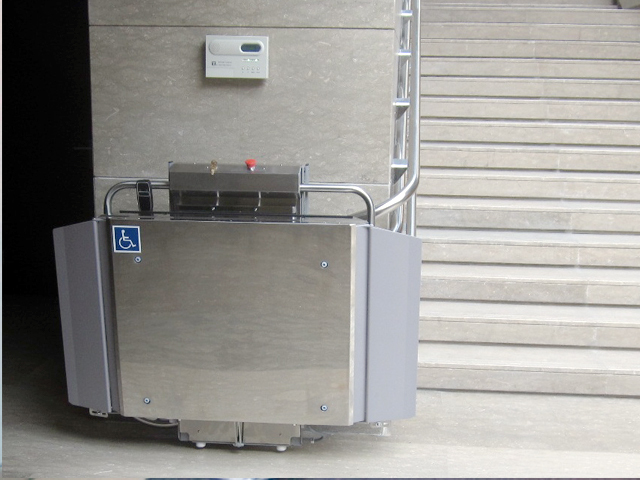 This vertical wheelchair lift supporting up to 750 pounds features a skid-free surface and safety sensors. A 34-inch by 54-inch platform (other sizes available) has 42-inch side guard panels and and landing gates or doors at both ends. 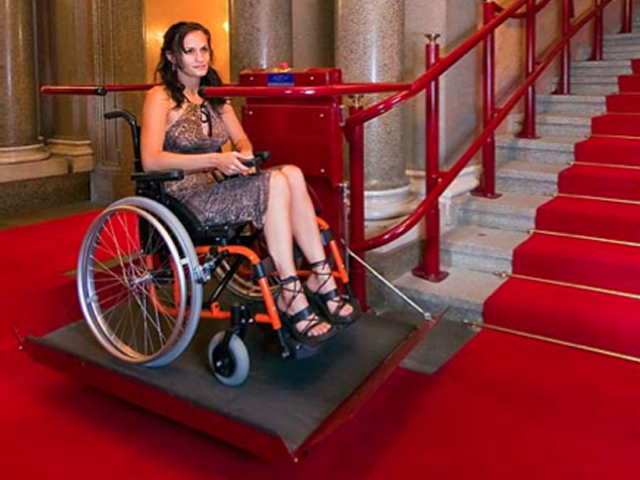 Consider this as an economical alternative to installing a ramp outdoors. Ideal for outdoors, this unit utilizes screw drive system with no hydraulic oil. No machine room required. 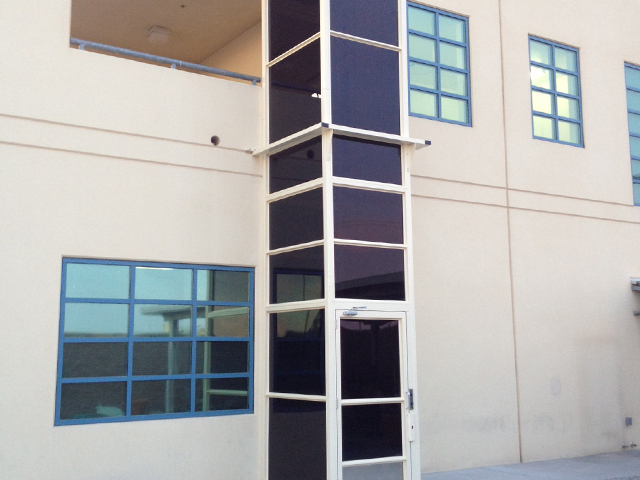 This vertical hydraulic wheelchair lift not only meets a home’s or building’s mobility requirements, it further aesthetically blends into the design. 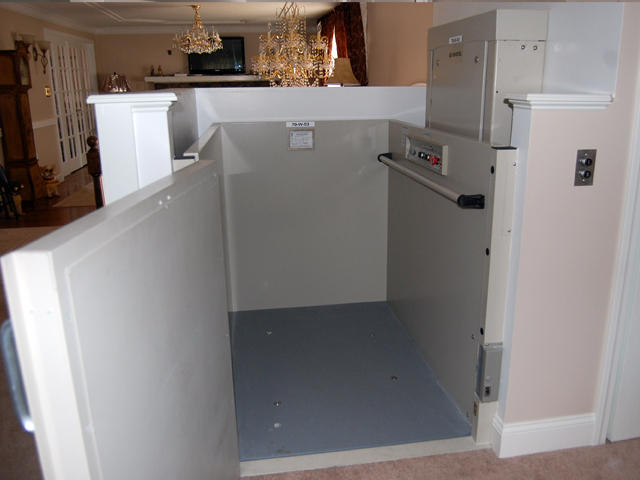 For operation, the Apex Hydro’s 36”x54” platform travels a maximum of 14 feet while supporting up to 750 pounds and does not require a machine room. 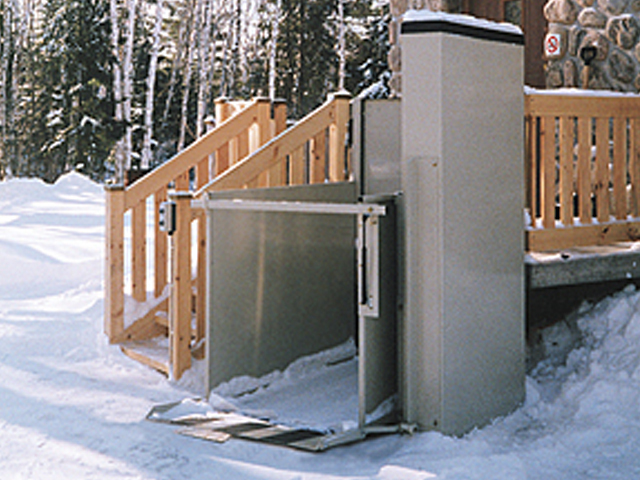 An all-around enclosure gets combined with an Apex Hydro or Apex Green system to create a turn-key system that travels 14 feet at a maximum of three stops. 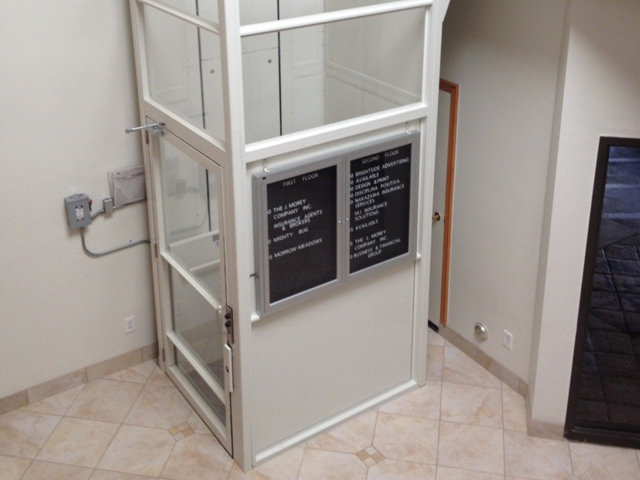 This comes with a choice of painted steel, clear acrylic, or tinted acrylic panels. Our luxury, custom-made model accommodates the high-end aesthetic needs of commercial and residential structures. 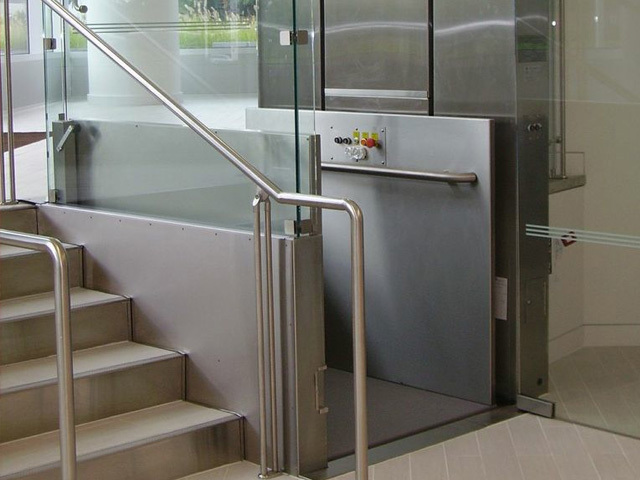 Corrosion-resistant stainless steel supports this vertical hydraulic wheelchair lift holding up to 750 pounds, while we offer a choice of stainless steel and metal finishes and glass panels.